My teammate and I just had an epiphany. As we are talking about our loadout for the zombies apocalypse airsoft game this Saturday, we came up with an inexpensive DIY night vision setup that everyone can afford. This set-up involves an old SmartPhone, an IR torch, a SmartPhone Picatinny mount, and a Picatinny ring mount. The IR torch will light up the night for the SmartPhone. It's not visible to the naked eye, but a 950nm infrared light will be seen by the SmartPhone. Using the SmartPhone camera mode, the screen will show us nightvision. We are going to use old Android phones or old iPhones. Since it's just sitting in our closet, it's practically free. The SmartPhone Picatinny Mount (see photo below) is $17. We can Velcro this mount to the back of the old SmartPhone. Or even just glue it. Then mount the SmartPhone to the airsoft gun rail. 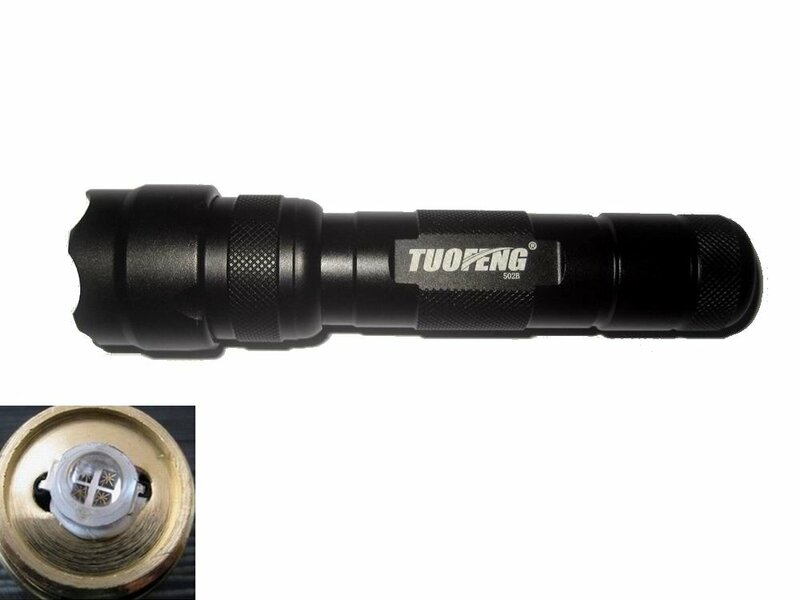 The Tuofeng® Wf-502b Infrared Night Vision Infrared 950nm 5w Cree Flashlight for Night Vision Goggles, Night Vision Camera, Digital Camera (see photo below) is $15.79 with free shipping on Amazon. The 5w is practically the brightest in this price range. 950nm is better than 850nm for visibility through digital cameras (SmartPhone). 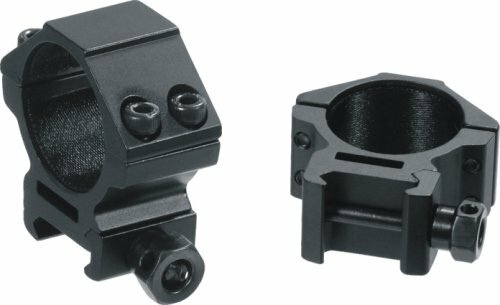 We'll need a Picatinny ring mount (photo below is an example) for the IR flashlight to mount it on our airsoft gun as well. But we'll wait till we get the IR flashlight to find the right size and the right style. It costs about $10. The total cost is going to be about $43. As the parts arrive, we'll update this thread to keep you posted on how this project is coming along. We are not going to get all this stuff in time for Saturday's zombie night. But the next time zombie night occurs, we'll be able to breach and clear with ease. The infrared torch has arrived. But the SmartPhones are a disappointment. Apparently, they all have IR filters that prevents IR the SmartPhone from seeing IR from afar (see "Phone Camera Sensivity to 950nm Infrared Torch "). The Apple iPhone 5C is the worst, it won't even see the IR torch when you shine the torch directly into the camera lens. But we have a runner up idea that actually works. We will use a infrared car DVR as the night vision device. 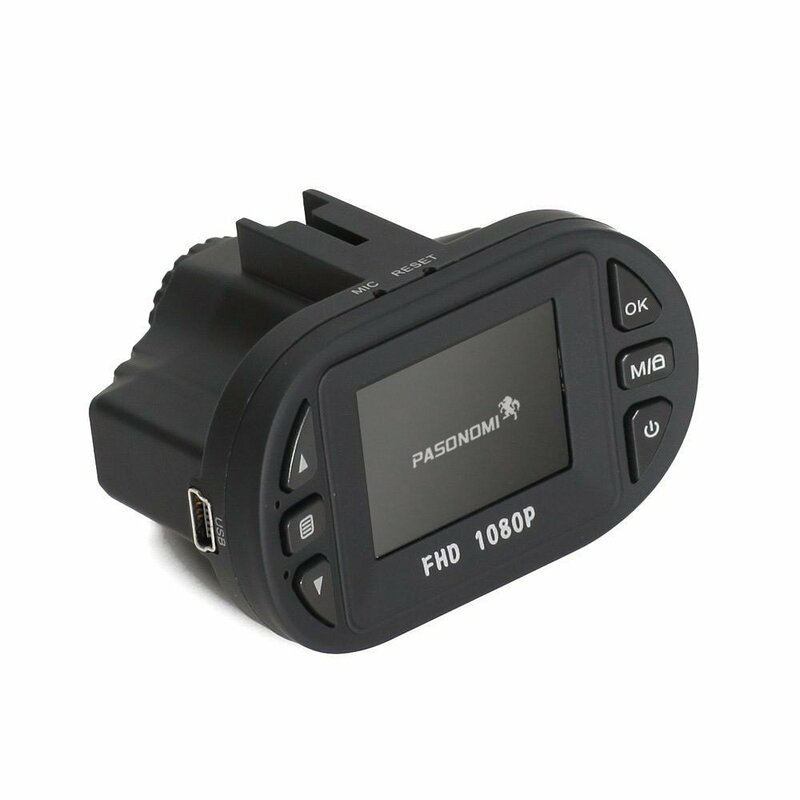 One of our crew members has the Pasonomi C600 1080P Full HD Car DVR 12 Ir LED Carcam G-sensor Camera 120A+ Grade High-resolution Ultra Wide-angle Len . The car DVR should not have a IR filter, because it has built in IR LED. However, the IR LED is not strong enough to light up the scene, so we still need the IR torch. My friend's car DVR works beautifully next to the IR torch. We were able to light up a completely dark room with the IR torch and see it in the small LCD on the camera. We will mount the car DVR and the IR torch to our airsoft gun to scan the room in night operations. We tested the car DVR during lunch time with its internal battery. We took the microSD card out, so that it would not waste energy recording to the memory card. The car DVR ran for 35 minutes before running out of juice. Then my friend brought his emergency USB power bank that is powered by a single AA battery. This USB power bank allowed the car DVR to run for an hour and fifteen minutes. That is quite acceptable for any airsoft operation. Rarely, would you use it continuously for an hour. You can turn the device off during down time. Plus, you can always change out the AA battery with a new one. From the video description: "the increased sensitivity in Gen1 and Gen2 image intensifiers for 850nm vs 940nm light makes 850nm much more visible." Figure 9 of this "Review of night vision technology" article shows the wavelength sensitivity of the different generation night vision devices. It's clear from this chart that night vision is more sensitive to 850nm than 950 nm across the board. Excerpt: Code Red Airsoft Park is sponsoring the zombie night once again this Saturday, April 12th. It's a resource limited game where you can bring a pistol, MP7, MP9, or a shotgun. And you are limited to 50 rounds per mission. Typically, I use AEG rifles with red dot scope at an airsoft game. So I'm at a s . . .
Excerpt: With lots of #zombie apocalypse events coming up this Halloween season, it's time to start thinking how you are going to memorize the action. If you have an old cellphone or SmartPhone lying around, it's a perfect opportunity to dust it off and use it as a camcorder. The Airsoft3D SmartPhone Picatin . . .